Chrome’s built-in tab management features Master Tab Management in Chrome with These Built-in Features Master Tab Management in Chrome with These Built-in Features It’s time to master tab management in Chrome. Let's see what's possible without installing a single extension. Read More can help you manage tabs well, but extensions from the Chrome Web Store can do that job even better. When you come across tab management extensions, it’s usually in the context of dealing with inactive tabs and saving memory. But there’s more to tab management than that, and the extensions we’ll cover today will prove it. 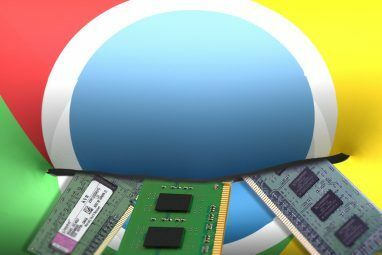 Before we get to those, let’s take a quick look at three memory-saving extensions that Chrome users swear by. OneTab – Closes active tabs and groups them into bundles that you can restore in a single click. The Great Suspender – Allows you to suspend tabs that are inactive, that you don’t want to close, that appear in the current window, etc. Tab Snooze – Puts tabs off until you need them next. You can even schedule tabs to open at fixed times How To Schedule Tabs To Open At Fixed Times In Chrome And Firefox How To Schedule Tabs To Open At Fixed Times In Chrome And Firefox You have a lot of tabs open, many of them important, but not important right now. With a few extensions, you can close those tabs right now and set them to auto-open later. Read More . Install all of these, then check out the following ideas. Once you install Tabli, you’ll be able to see all your open tabs in an easy-to-read list within a dropdown. Click on Tabli’s toolbar icon to make the dropdown appear. With the tabs grouped neatly into separate sections based on the windows that they belong to, you should be able to find tabs faster than usual. You can also search for tabs by name using the search box embedded in the dropdown. This is quite the time saver when you have a huge number of tabs open. Tabli even allows you to manipulate tabs from the dropdown list by treating each tab as a link. This means that you get access to the same context menu for the dropdown tabs as you do for links within web pages. If you want a decent alternative to Tabli, try TabJump – Intelligent Tab Navigator, which takes a similar, dropdown-based approach for arranging tabs. If you don’t like the idea of putting your tabs in a dropdown, try experimenting with a few other views. For example, you could place tabs in floating panels outside Chrome with Panel Tabs or in a pop-out sidebar outline with Tabs Outliner. With Tab Resize, you get the much-in-demand split screen capability El Capitan's Split View Seems Useless Until You Actually Use It El Capitan's Split View Seems Useless Until You Actually Use It Split View seems like a gimmick, until you use it for a while. Then you'll wonder how you used your Mac without it. Read More that allows you to multi-task, in this case while browsing. The extension opens the active tab and the ones to its right in separate split windows based on a layout you choose. Click on the extension’s toolbar button to pick a layout, configure new layouts, and manage tab alignment. If you have a ridiculous number of tabs open, Tab Ahead is for you. It lets you find tabs in the current window by their title or URL. Don’t worry about not being able to recall them precisely. Partial matches work just fine. If you’d like Tab Ahead to display search results from all windows instead of just the current one, go to the extension’s Options page to make that change. There’s not much to the extension really. You install it, click on its toolbar button, type your query in Tab Ahead’s search box, and click on the right result to jump to that tab immediately. Quick and painless is how we would put it! 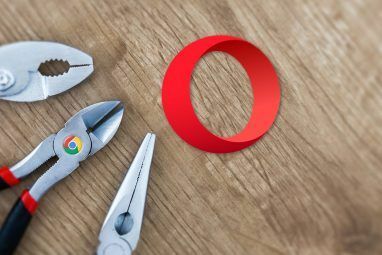 If you’re a fan of Chrome’s omnibox superpowers 11 Quick Tricks To Become A Chrome Omnibox Power User 11 Quick Tricks To Become A Chrome Omnibox Power User Do you want to become an Omnibox power user and save plenty of time and keystrokes? All you need are a few good extensions and a little knowledge of how to tweak the search settings.... Read More , install TabTab Search instead of Tab Ahead. The former gives you a search engine linked with the keyword tab. Once you install TabTabSearch, here’s how you search for any open tab: Type tab in the omnibox, hit the Tab key, type in a part of the tab name or URL that you’re looking for, and hit Enter. This takes you to the closest matching tab right away. TooManyTabs gives you a bird’s-eye view of all your open tabs. It takes an image-based approach to tab management and displays thumbnail previews of your open tabs. When compared with Tabli, TooManyTabs has a more extensive feature set. It allows you to sort tabs, organize them, search for them, suspend idle ones, restore closed tabs, and even make the interface prettier with custom themes. When an auto-playing video in one of your (hundred!) tabs jolts you, you could calm down, right-click on that tab, and select the option to mute it…if you manage to find that tab first without going crazy. Or you could silence that stupid tab with a quick keypress combo. Mute Tab Shortcuts makes that possible. The extension has a set of default shortcuts that allow you to mute/unmute all tabs, mute the current tab, or mute all tabs except the current one. If you want to tweak these shortctus, go to Extensions > Keyboard shortcuts. For Mute Tab Shortcuts to work, you’ll need to make one tiny tweak in chrome://flags: set the Enable tab audio muting UI control flag to Enabled. By the way, this tweak will also allow you to mute a tab by clicking on the tiny volume indicator next to the tab name. Clutter Free’s job is straightforward. It ensures that you don’t open a second instance of any tab that’s already open in any of the current window sessions. If you try to duplicate a tab unwittingly, Clutter Free takes you to the identical tab that’s already open. Click on the extension’s toolbar button to find the option to whitelist a tab and allow it to have duplicates across windows. Think of TabCloud as a sort of Dropbox for Chrome. It allows you to sync your tabs across computers. Use TabCloud to save window sessions for later. Clicking on the extension’s toolbar button displays a popup where you’ll be able to see a “faviconized” view of your open tabs, arranged by window sessions. You can even name window sessions for easy identification and drag and drop tabs between them. 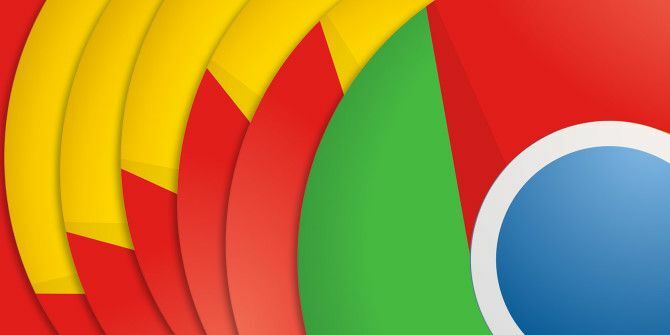 Having a system in place for controlling tabs can make your browsing productive and enjoyable 25 Chrome Extensions to Make You More Productive 25 Chrome Extensions to Make You More Productive We hear so much about productivity. How do we become more productive? What can help us be extra productive? Which tools make us the most productive? Read More . 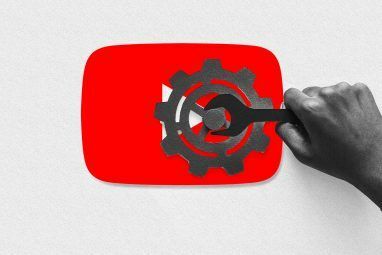 You don’t even have to do the heavy lifting, because there are so many neat little Chrome extensions willing to do the work for you. Which extensions do you consider indispensable for managing tabs on Chrome? List your favorites for us in the comments!